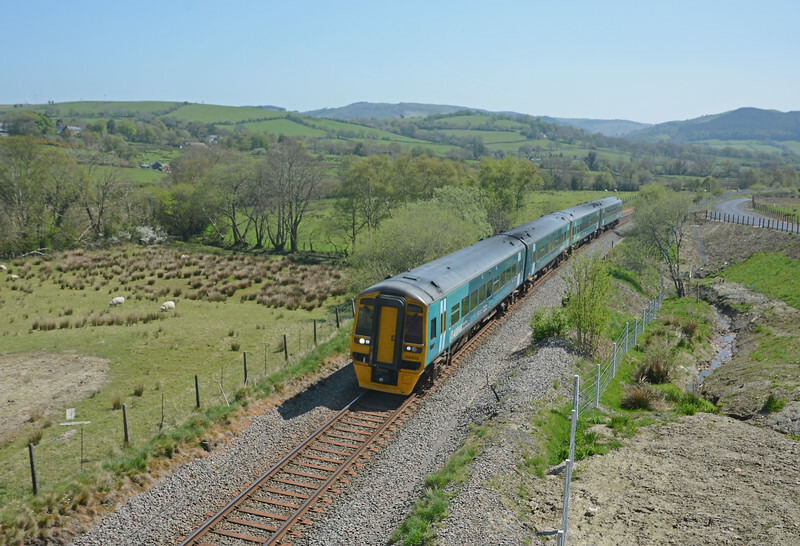 The 693' summit of the Cambrian line is at Talerddig, where trains usually pass one another. The 10:09 from Birmingham International approaches the loop from the Carno direction on a 1.25% gradient. This was taken from a new overbridge which has been built as part of a scheme to close five occupation crossings.